1. The Power of the Dog - 2003 Don Winslow masterpiece about an American DEA agent and his dealings with the cruel Sinaloa Cartel. 2. 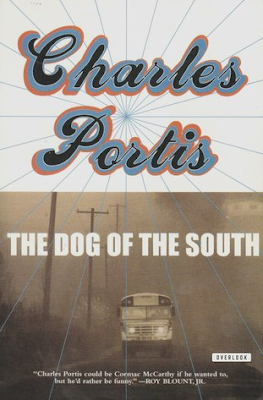 The Dog of the South - 1979 Charles Portis masterpiece about Ray Midge whose wife, Norma, has run off to Mexico with Guy Dupree, her ex-husband in Ray's Ford Torino. 3. Dog Soldiers - 1974 Robert Stone masterpiece about Ray Hicks, ex USMC Vietnam Vet, survivalist and autodidact trying to follow the path of Nietzsche and Zen Buddhism while smuggling heroin from Vietnam. 4. The Curious Incident of the Dog In the Night-Time - an autistic boy who counts in prime numbers (love that) finds a dead dog in his garden and as he solves the mystery he realises that things in his family are not as they first appear. 5. To Say Nothing of the Dog - Connie Wills's award winning time travelling novel that begins - if I'm remembering correctly - in Coventry Cathedral. Kind of a Yankee version of Hitchhiker. BTW to say nothing of the dog is the subtitle of Three Men In A Boat which you must read. Its funny. You think its not going to be funny but even 120 years later it is. 6. Dog Years - Gunter Grass's ponderous but good novel about growing up in Danzig before, during and after the war. 7. Dogs of God - Pinckney Benedict's great little backwoods tail of a drug lord called Tannhauser living in wild and wooly West Virginia. 9. Dogs of War - Freddie Forsyth's tale of mercenaries in Africa. This and Jackal are his two best I think.